The short answer is yes, homeowners insurance does cover for “catastrophic ground collapse” but not minor sinkhole issues. Read on to find out more what it means. Below is a handout from a local realtor in Florida explaining the difference between “Catastrophic Ground Collapse Coverage” and “Sinkhole Loss Coverage”. Did you know that Florida sees more sinkholes than any other state in the country? This is because the Florida peninsula consists of a mixture of sand and clay. Underneath it is a layer of carbonate rock that can dissolve over time. This creates sinkholes as well as caves, springs, and other depressions in the land. Heavy rainfall and pumping of groundwater also contribute to the creation of sinkholes. What are the signs that indicate sinkhole activity? Do I need sinkhole loss coverage? While sinkholes are not as common as people may think, they do occur. However, the vast majority of homes in Florida are not affected. For convenience and your peace of mind, it’s beneficial to have sinkhole coverage. Seek advice and get the best coverage from a reputable insurance company. In general, it is not easy to get sinkhole coverage since insurance companies implement strict guidelines and ask for home inspections by engineers. If there are existing cracks in your home, the insurance company may decline your application. Also, the homeowner will be required to pay around $150 upfront for the inspection. Should you get sinkhole coverage, you will need to pay about $100 per year aside from the homeowner’s insurance policy. What is catastrophic ground collapse coverage? Homeowner’s insurance policy used to cover sinkhole loss damage. However, in 2007, the state legislation changed the coverage standard with Florida Statute 627.706. According to this law, insurance companies need to provide coverage for catastrophic ground cover collapse, not necessarily damage from a sinkhole. The sinking must have happened abruptly. A depression in the ground should be seen even without using any instrument. There must be structural damage to the home. A government agency must condemn the property and order evacuation. Bear in mind that settling or cracking of a structure does not automatically mean it is covered for catastrophic ground cover collapse. Damage from a sinkhole should meet all of the conditions above for it to be included in the coverage. Otherwise, it will not be covered unless a separate sinkhole coverage was purchased. On July 1, 2016, a new law that created Section 627.7151, Florida Statutes, was signed by Florida Governor Rick Scott. It allows insurance companies to provide limited sinkhole coverage for a sinkhole loss to homeowners. This refers to structural damage that is caused by a sinkhole activity to the covered building including the foundation. It also comes with a lower threshold of damage compared to a catastrophic ground cover collapse. Still, if the professional engineer of the insured states that the repairs exceed the policy limits, the insurance company is required to complete the recommended repairs or grant the full policy limits. How will I file a sinkhole claim? Mark the area with caution tape or other means to inform other people of possible danger. Notify your insurance company immediately. Inform them about the damage to your property. The insurance company will perform geological testing by sending a geologist in your area to establish the cause of the damage. If the testing confirms that the damage was caused by a sinkhole, your insurance company should pay for the testing and repairs. What if the insurance company denied my claim? If your insurance company denies your sinkhole claim or pays you an amount that’s lower than needed or expected, by law, you can make an appeal. You are entitled to take part in the Florida Department of Financial Services’ Neutral Evaluation Program that provides an engineer or a geologist who will act as the third party and identify the sinkhole activity and the method of repair. What should I do when buying a home in Florida? 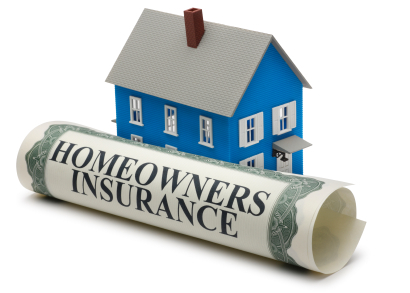 Ask an insurance agent if the home can be insured or not. Check if there’s a recent sinkhole activity in the area. If you want to have sinkhole coverage, inform your insurance company and make sure that it is included in your policy. Hire a home inspector to check signs of potential sinkhole activity such as cracks in the walls, etc. Get a C.L.U.E. Personal Property report. It provides a history of losses for the last seven years with an individual and his/her property. This security measure is often overlooked, but is easy to get access to and can greatly help in making a decision on whether to buy a home in Florida or not. Just ask the seller upfront to give you a copy.